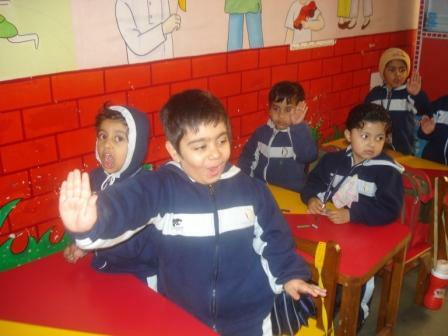 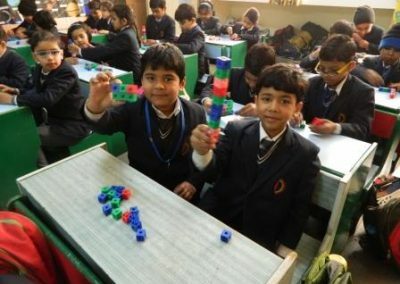 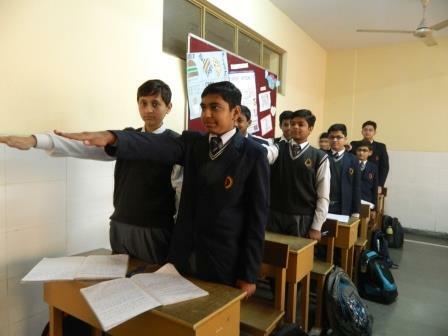 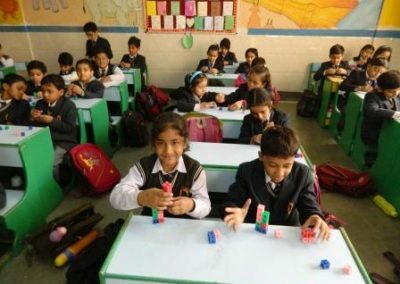 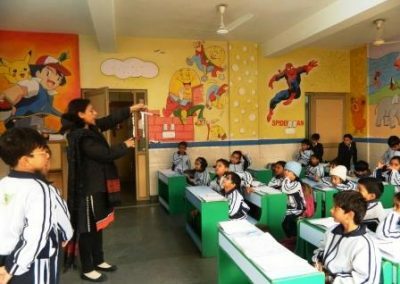 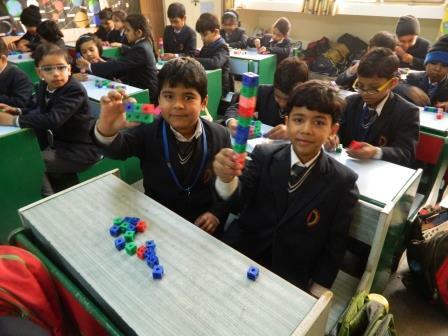 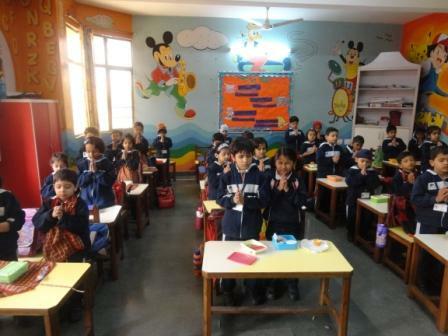 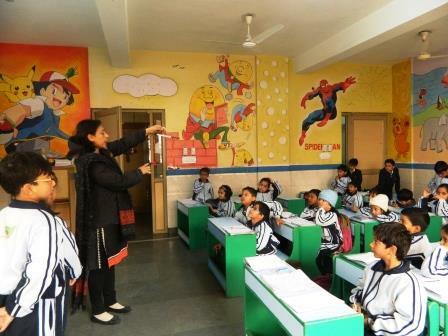 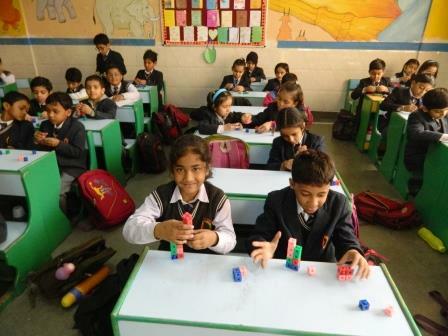 The school has spacious and airy classrooms with well equipped modern teaching aids like whiteboards, blackboards, and computers with Extra Marks software, set of educational CD-ROMs and with a hi-tech Smart class technology which makes the teaching learning process more interactive and interesting. 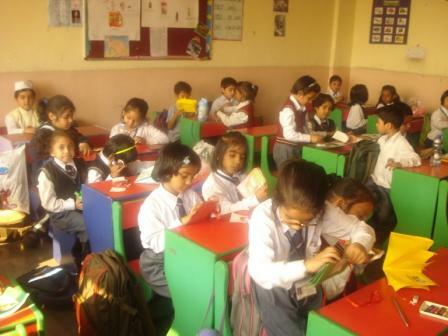 The teacher student ratio in our school is 1:20. 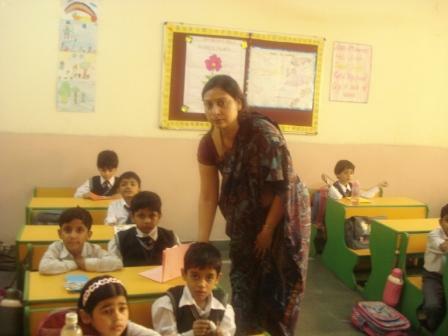 Section names are designated as flower’s name.